Centralia, Pennsylvania has lost another resident, bringing its total population to under five people. In the fall of 2016, Kathi Womer moved out of the borough. 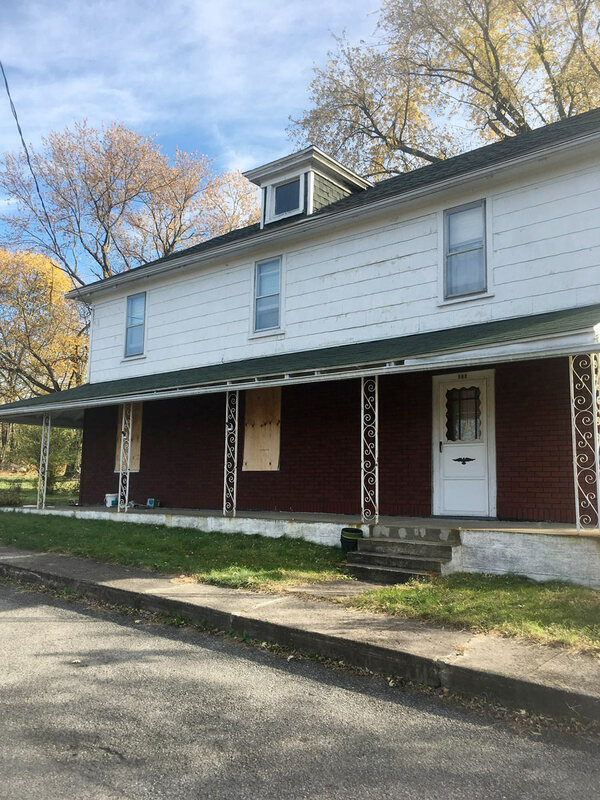 By doing so, her home became the property of the State of Pennsylvania and, like with so many of the town’s other buildings, will be demolished. For years, the Womer family, including Kathi and her parents Carl and Helen, lived at the end of Wood Street in Centralia, PA. They were important fixtures within the community. In 1962, the Centralia mine fire began only a few hundred feet away from Womer’s house in Odd Fellows Cemetery. Helen Womer was an early activist calling for state and federal officials to take action. Carl Womer would later serve as the town’s last official mayor. When other residents took settlement offers and left, the Womer’s held on to their home, fought, and stayed. Helen passed away in 2001 and Carl in 2014. Kathi remained in the borough until 2016, when she moved away. Her relocation is a reminder that the impact of Centralia’s mine fire disaster is still being felt today, over 50 years since it began. 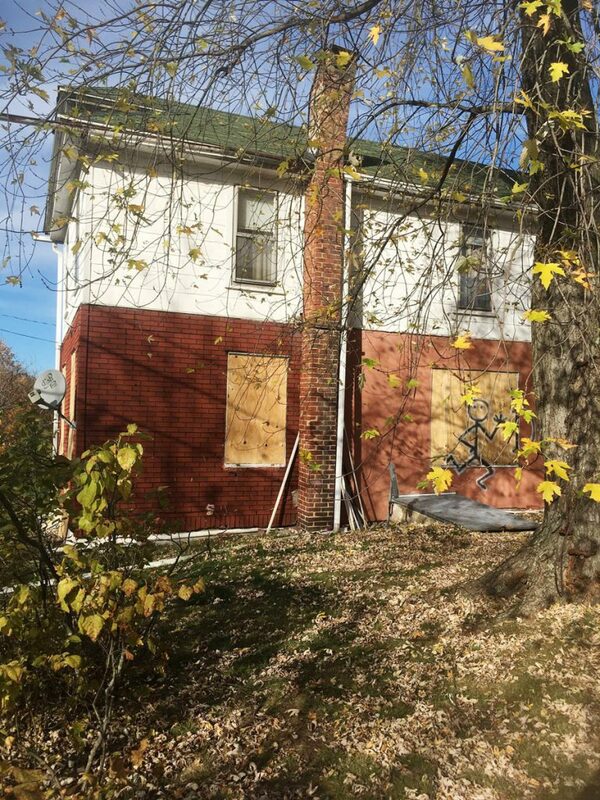 Many thanks to Jason Gunoskey and others who have sent pictures of the Womer’s house since it was abandoned. It’s important to remember that even though this house is now owned by the State of Pennsylvania, it was once someone’s home. If you are visiting Centralia PA, please be respectful of each home, sign, cemetery, and property. Graffiti, trespass, and littering are still illegal within the borough. As a former resident of Centralia, it’s a shame. Was she forced to leave? Technically, it wasn’t her home, but her father’s. The government cut a deal about 10 years ago with the few remaining homeowners that they could stay in their homes, but upon death, the property ownership would revert back to the state. When her father passed in 2014, she began looking for another home. Just finishing David DeKok’s book on Centralia and the fire. He didn’t paint the best picture of Helen but I’m sure she was doing what she thought was best under terrible circumstances. It’s a tragic story and one that has fascinated me. My thoughts and prayers to all with ties to the borough. Just read David Dekok’s book too. Excellent and very powerful. I understand the reluctance of the residents to leave their town. 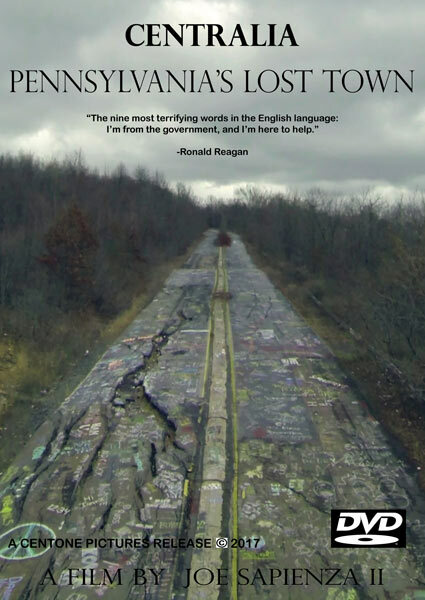 The book made me so angry with the authorities who let Centralia down. I want to visit. God bless Centralia. Was there today and the house has been ransacked. Door is gone. More graffiti. Every window broken. It’s a shame. Today was my first visit. I walked the streets and thought to myself what it must have been like when it was a thriving town. Very sad. Were there a lot of state police around? I want to take my teens to see Graffiti Hwy but read that cops are shooing people away. It was sad to to see the house so destroyed. 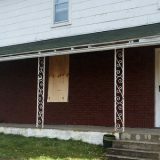 We didn’t know the back story until reading this, but we said at the time abandoned or not this was someone’s house. Didn’t see any police around and there were lots of people walking the graffiti highway. I just came from a visit to Centralia (6/4/2017). I first learned of the fire perhaps 30 years ago but had not thought about it until I discovered Renee Jacobs’ book, Slow Burn. She lived there during the volatile period when the town’s residents decided to seek Federal funds to relocate. After purchasing her book I continued to review material on the town, including the movies and David DeKok’s excellent history of the town’s plight, and Joan Quigley’s also excellent human interest story of the town’s folks, including her relatives. The story of Centralia has evolved from one of a fire, started by a maintenance fire at the town’s dump, the failed attempts to extinguish the fire, and the extreme health risks to residents, to a tale of the “hangers on” who did not want to leave their homesteads and history. The videos tell the tale of the last few and one has sympathy for their plight, but lost among the videos is the story of those that left, after suffering years of degraded health due to carbon monoxide and carbon dioxide in their homes. Their evacuation was delayed and their health endangered by those wishing to stay, and many of those wishing to stay did not live in the most impacted areas. In today’s world we protest the smallest risks to our health and seek restitution. The residents of Centralia suffered risks many, many times what we would accept today. Although the mostly likely cause of the fire is the town’s carelessness in managing their dump, the residents deserved better from their governments. Government exists to help its citizens. The inaction in dealing with the Centralia fire over bureaucratic rules and philosophies of conservative government and avoidance of Federal involvement is the real tragedy of Centralia. One can mourn for those that were forced from their homes, but the real concern should be for those residents with small children and elderly parents whose health and well being were damaged by inaction on the part of government and community leaders. Helen Womer would have been a better citizen had she shown the same enthusiasm for protecting the children of the community rather than her house. The fire is no longer under the town. It has not been for several years, according to DEP personnel I spoke with over a year ago. I met David DeKok, very nice, personable man. It is seriously believed that the fire didn’t destroy the town; the government did. I’ve always been fascinated by ghost towns, this one in particular. Such a sad story overall, I have respect for the residents that stayed to take care of their town despite those that abandoned it. We are given charge to take care of the Earth we are given, and the story of this town is one that I’ll never forget. I would like to visit there sometime with all due respect to the residents, just to experience the silence and empty feeling. Maybe someday. 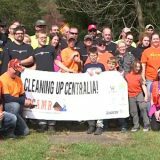 I visited Centralia on Sunday, June 4, 2017 with David DeKok. We then went to see the movie in a near by town. There were 20 or 30 other people in various places when we visited. The cemeteries were open and we saw the former Womer house, quite vandalized. There was no visible smoke anywhere we went but David did show us a spot where you could feel a little heat and smell the fire. You can see bore holes and vent holes in various places. David had some interesting pictures before and after the property by out. Reading his book is the best first step in understanding what happened to Centralia. His tour is also interesting. I read that six people were fined during our visit for walking on the graffiti highway. Hi everyone, I am an Italian photographer and I would like to meet the few inhabitants currently living in Centralia and tell their stories in a photo reportage. Would anyone be able to help me in contacting them? 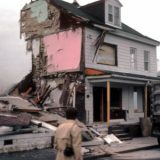 Was this house demolished yet? I believe the house in reference is the Womer house. 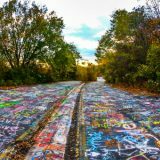 I was in Centralia a couple weeks ago. It has definitely been demolished. Is Anyone Still Living There? Thank you. Myself and a friend were there yesterday, 9 November 2018. 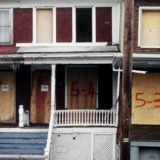 Counted 4 homes. We drove over from Indiana. Very sad and was blown away by all the dumping and graffiti. To those that are still there wow, you are amazing and strong willed. If you saw a little Honda cruising around that was us. Amazing and sad. We plan on Coming back next summer.